There are many diet fads out there that advocate a certain lifestyle. With the emergence of such trends, many find themselves with a dilemma deciding on the best practice. There is no definite answer or a textbook solution to this. It all boils down to personal preference and the ability of the body to adapt to the diet regime of choice. Some require trial and error methods before you find out whether the diet plan works. However, most of the time, results are guaranteed if the instructions are followed to the letter. Food is a big part of our lives and we generally have three important meals in a day – breakfast, lunch, and dinner. The composition of food we eat will have a distinct impact on our health and the way we look physically, with the latter being the visible outcome. Many of us want to look good outside and it can be achieved through managing the food we choose to consume. Traditionally, we are taught to have a balanced diet that is in accordance with the food pyramid. This means the bulk of the food should comprise vegetables and fruits followed by carbohydrates and least of is fatty foods. What if the tables are turned and you can actually achieve the body figure you dream of by eating the other way round? One particular diet that has been the talk of the town and receiving lots of reviews is the Ketogenic diet, or best known as the Keto. Loyal followers of Keto include celebrities like Halle Berry, Kim and Kourtney Kardashian, Gwyneth Paltrow, LeBron James, and Adriana Lima, to name a few. These celebrities swore by Keto and absolutely love the results yielded from the diet plan. What is Keto actually? A Keto based meal plan is strictly a low-carbohydrate and high-fat diet claimed to help burn fat much more effectively. The Keto diet is advertised as a weight loss wonder and unlike other low-carb diets, this diet plan revolves around consuming foods high in fat, which supplies as much as 90% of daily calories! So, how does one begin with Keto? For starters, it would involve drastically reducing one’s carbohydrate intake and replacing it with fat. Of course, the fat referred here should be derived from healthy sources. Salmon and egg are a great source of omega-3 fatty acid and you can also incorporate red meat, cheese, butter, and cream, as well as nuts and seeds into your daily meal intake. Your meal plan should also include healthy oils like extra virgin olive oil, coconut oil, and avocado oil. 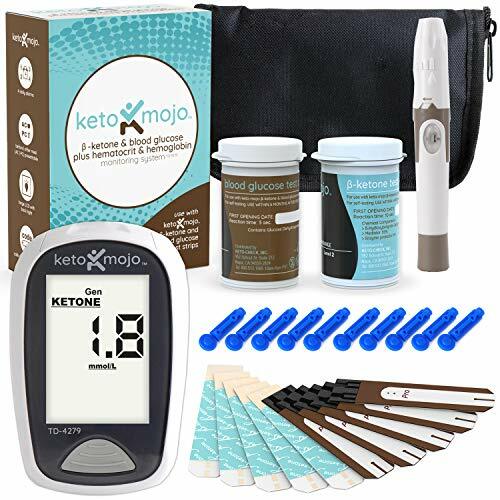 The way Keto works is that it forces the body into utilizing another source of fuel, instead of glucose that is mainly derived from carbohydrates. How the body does that is by relying on ketone bodies that are produced by the liver from stored fat. The process in order to achieve the state when the liver can produce ketone is a tricky one, whereby it requires a person to deprive the body of carbohydrates with permissible intake of only 20 - 50 grams per day. The act of reducing carbohydrate will put your body in a state called ketosis. You will start to notice changes in your body after a span of couple days to a week of practicing the diet. Once your body achieves ketosis, your body will be a fat burning machine; it will be incredibly efficient at converting fat to energy. One of the reasons why Keto is a hit is because of the unorthodox way of increasing fat intake to lose weight. In fact, Keto is recommended by some health practitioners due to its other health benefits. A Keto diet can improve risk factors like body fat, HDL cholesterol level, blood pressure, and blood sugar. Some healthcare practitioners have also prescribed this diet to treat several types of cancer and slow tumor growth. However, there is always two sides of the coin and in this case, Keto also has its’ shortcomings. The low-carbohydrate and high-fat way of eating may promise quick weight loss, but health experts caution on the side effects and complications that may come with the package. It may cause irregularity which results in gastrointestinal issues ranging from diarrhea to constipation due to the drastic change in the food composition. On a serious note, it may also lead to high cholesterol for those who are genetically predisposed, since the diet is based on high-fat foods. This goes to show that Keto is not for everybody. As mentioned in the opening, the choice of diet plan is entirely up to personal preference and most importantly the ability of the body to sustain and adapt to the specific requirements of the chosen diet plan. It is highly advisable to consult a physician before starting on any diet plan.